Dear Prof Tim Noakes, we are proud of you! Congratulations! Thanks to you the health of so many people were changed, myself included. 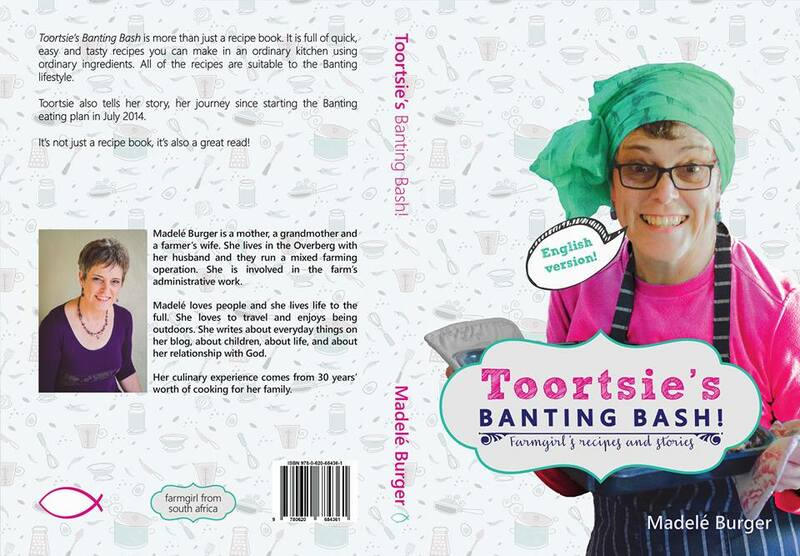 Thank you for your courage to put Banting on the map again! Prof Tim Noakes, a well known South African Scientist became even more newsworthy when he re-introduced the Low-Carb High-Fat lifestyle. This lifestyle is also named Banting after the first person who introduced this lifestyle. In this lifestyle, all starch and sugars are taken out of your diet, while the intake of fat is increased. With Banting we eat ‘real food’, not food from packets and boxes. The food industry was NOT impressed. For too long they promoted a High-Carb, Low-Fat lifestyle, while, in the meantime, people became fatter and more unhealthy. Lifestyle illnesses, like diabetes, high cholesterol, metabolic syndrome, and so much more became the illnesses of the time. Prof Tim Noakes was brave enough to re-introduce the Banting lifestyle and people around the world started following this lifestyle, with great success. I am one of the Banting crowd. One day, he answered a mother’s question on Twitter, whether she could give here baby LCHF food, and thát was the misstep so many people waited for. He was charged with misconduct at the Medical Board of South Africa. This law case took three years and millions of rands, and yesterday, he was acquitted! Prof Tim Noakes is FREE! Yes! 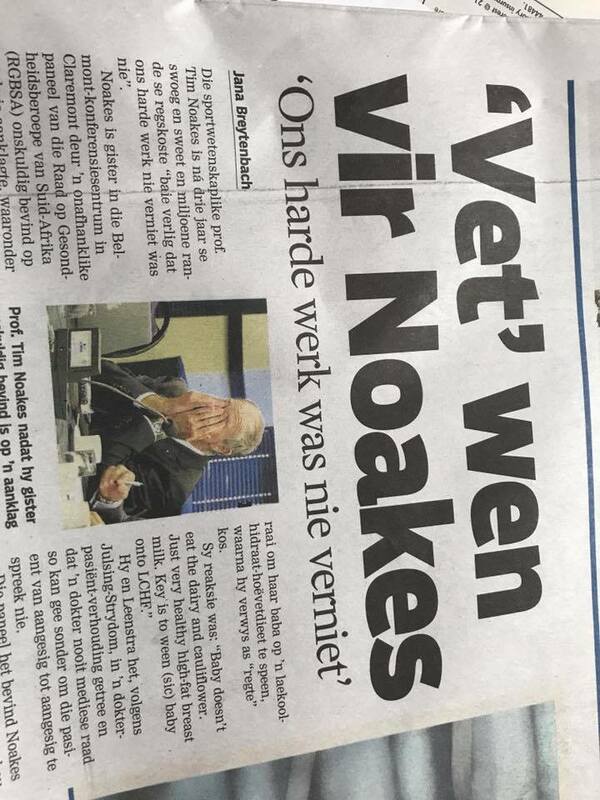 Although I am very glad for Prof Noakes and his family, it was not only a win for himself but a win for Banting altogether. Banting received a lot of negative publicity the past years while it helped so many people. I am sure that things will change a lot from now on. Banting worked for me, it is the first diet ever that worked for me. I lost a lot of kilograms, I can maintain my weight, and I am healthier than ever! BUT, I am not responsible for any person that wants to follow the Banting lifestyle. I still think that it is good to do it with the consent of your doctor, he knows you the best! All I can say, Prof Timothy Noakes big, fat won, was a spike in a lot of people’s guns! Next ›Hoekom sal iemand reën wil hê? I am sooooo over the mooooon!! Ahaaaaa! 🙂 Genoeg rede om ‘n vet ribbetjie te braai! So bly. As diabeet kan ek net se: banting werk ombd bloedsuiker laaf te hou. Ek kan onmiddellik die verskil sien as ek koolhidrate eet- wat ek soms doen vur die lekkerte. 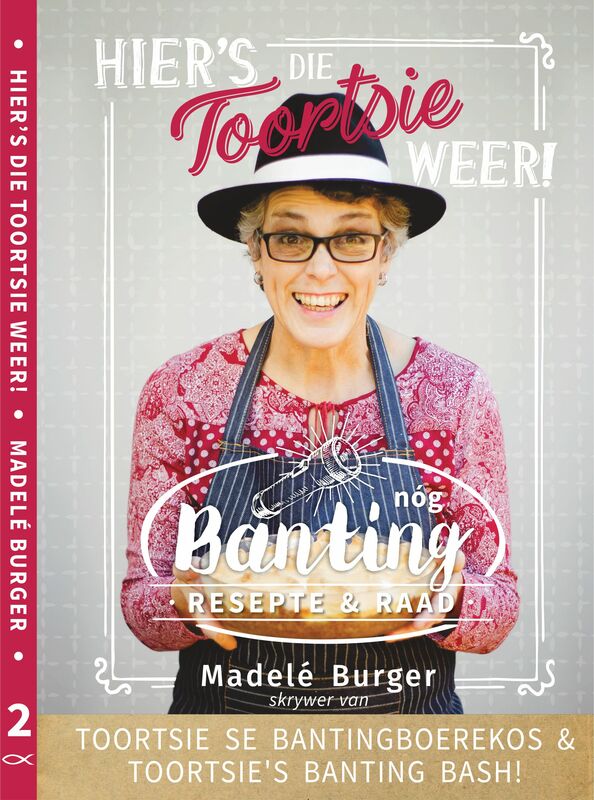 Maar vir die gesondheid: banting bo! Thank you for sharing, dear Toortsie. I didn’t know about him. His concept is a very smart idea! I don’t doubt! And that’s great! 😉 Thanks to you he has become famous worldwide! Die Mammon aanbidders haat die goeie nuus van Banting want dit tas hulle inkomste aan. As ek dink aan al die dieetkundiges e.d.m. wat help om siek mense op ‘n dwaalspoor te hou. Eish! Daar wag ‘n swaar straf op hulle wanneer die Here God hulle te woord gaan staan. Ek is verheug oor sy oorwinning. Ja nee, sy dieet wyse het baie in die kosindustrie gekou en daarom is die swaarde uitgehaal, die rede is geld. Vir hom gaan dit oor gesondheid. Smile ek vir dierbare Toortsie…. jy en my swaer sal heerlik kuier.